Arlington Heights police have charged 21-year-old Selena Muro, an Arlington Heights woman, following a report that she allegedly battered and attempted to strangle her stepson. According to Arlington Heights police, detectives began investigating Selena Muro, of the block of 2100 South Goebbert Road, following a report police received on Wednesday, February 1, 2017 from the boy’s biological mother. The boy’s biological mother told police she believed her son was being battered by his stepmother. When the boy’s father returned him home to his biological mother, his biological mother noticed her son had bruises around his eyes and neck. She immediately notified the Arlington Heights Police Department. The boy was examined at Northwest Community Hospital as part of the battery investigation. Medical staff discovered the boy had petechial hemorrhaging in the eyes, which can be an indication of attempted strangulation. Petechial hemorrhages occur when blood leaks from the capillaries in the eyes. The capillaries can rupture due to increased pressure on the veins in the head when the airway and veins are obstructed while the victim struggles to exchange air. Medical staff also discovered other minor bruises on the boy’s body. 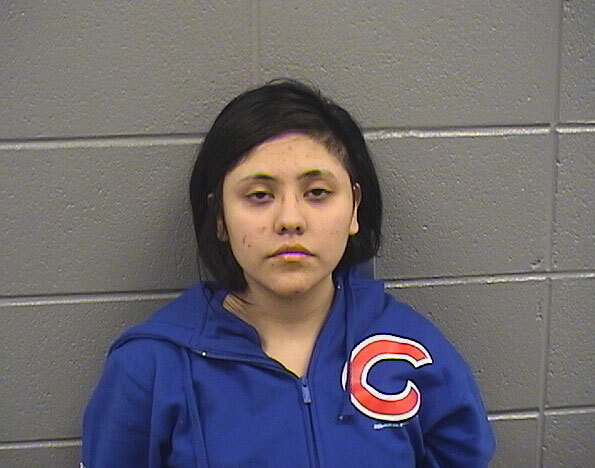 Selena Muro was arrested Wednesday and charged with aggravated domestic battery with attempt to strangle, and aggravated battery and bodily harm to a child under the age of 13, according to Arlington Heights police. Selena Muro, 4’10” 127 LBS, appeared at the Cook County courthouse in Rolling Meadows on Friday March 10, 2017, where a judge set her bond at $500,000. An order of protection also was filed, which prohibits Muro from having contact with her stepson and temporarily halts the boy’s father’s visitation rights. Muro is scheduled to appear at Cook Cook County Circuit Court in Rolling Meadows on Thursday March 30, 2017.